Ace detective Harry Goodman has mysteriously gone missing. 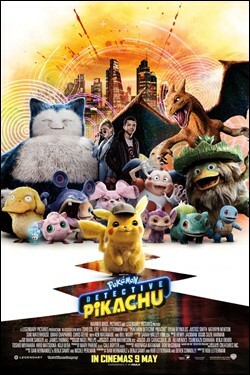 His 21-year-old son Tim goes searching for him, with the help of Harry`s former Pokemon partner, Detective Pikachu. Together, they chase clues through the neon-lit streets of Ryme, a modern metropolis where humans and Pokemon live side by side, encountering various kinds of Pokemon characters. This leads to their discovery of a shocking plan that threatens the whole Pokemon universe and could destroy the peaceful co-existence between humans and Pokemon.